Saudi Arabia, Riyadh, 10 December 2018: Jet Airways, India’s premier full service, international airline, and ‘flynas’, Saudi Arabia’s first low-cost airline, have entered into an extensive codeshare partnership to enhance connectivity between India and Saudi Arabia. As part of the agreement, Jet Airways will place its marketing code ‘9W’ on flynas flights between the gateway cities of Dammam, Jeddah and Riyadh, thus providing its guests travelling from India the ability to travel in to Saudi Arabia via one point and depart from another. Jet Airways will also be placing its code via Dammam, Jeddah and Riyadh to the Saudi Arabian city of Medina which is one of the holiest two cities in Islam, as well as port city of Jizan, the agriculturally rich region of Al-Qassim, the unofficial summer capital city of Taif and the popular tourist destination Abha, thus extending our reach into Saudi Arabia. 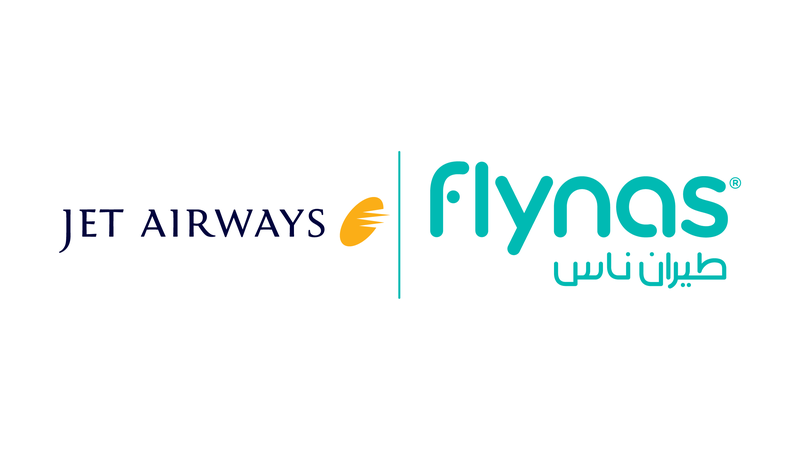 In turn, flynas will be able to offer its guests access in to India by placing its marketing code ‘XY’ on Jet Airways’ international flights connecting Jeddah to Mumbai, Riyadh to Mumbai and Delhi as well as Dammam to Mumbai and Delhi. In addition to these international routes, flynas will also place its marketing code on certain destinations on the Jet Airways domestic network, via Mumbai to Delhi, Kochi, Bengaluru, Hyderabad, and Lucknow as well as via Delhi to Bengaluru, Lucknow, Chennai, and Kochi. Mr. Marnix Fruitema, Executive Vice President – Commercial, Jet Airways, said: “Saudi Arabia is the second largest international travel market to/from India with almost 6 million passengers travelling between both countries annually for religious tourism, business as well as leisure. Our codeshare agreement with flynas reflects our continuing commitment to offer our guests the best possible connections to more and more destinations around the world and we are delighted to partner with flynas to offer guests of both the airlines wider network access and a seamless travel experience across the networks of both carriers. Flights under this agreement are now open for sale, for travel effective 11th December 2018. Jet Airways is India's premier international airline, currently operates flights to 66 destinations, including India and overseas. Jet Airways' robust domestic India network spans the length and breadth of the country covering metro cities, state capitals and emerging destinations. Beyond India, Jet Airways operates flights to key international destinations in South East Asia, South Asia, Middle East, Europe and North America. The Jet Airways Group currently operates a fleet of 124 aircraft, comprising Boeing 777-300 ERs, Airbus A330-200 / 300, the latest Boeing 737 Max 8, Next Generation Boeing 737s and ATR 72-500 / 600s.